In the event of severe weather conditions, the university may announce delays or cancellations of normal campus activities. With winter arriving, take time to review how you can stay informed about closings and delays. In the event of severe weather conditions, the university may announce delays or cancellations of normal campus activities. With winter on its way, here is a reminder of the university's inclement weather policies and procedures, and multiple ways to stay informed about possible closings and delays. These delays and cancellations apply to the university only. 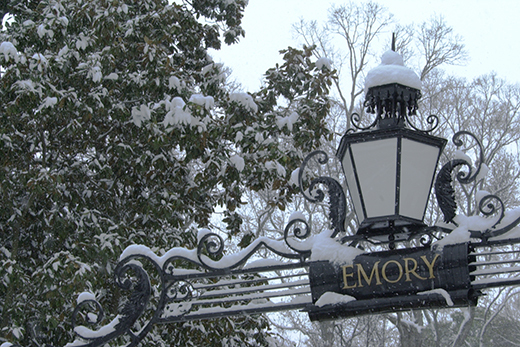 Emory Healthcare employees are sent separate communications regarding inclement weather policies and any delays and/or closures, with details being posted on the EHC intranet. Information on any clinic delays or closings will be posted on the homepage of emoryhealthcare.org for patients.